We will be updating our website as to what trees will be available for purchase in 2019 around the end of November, 2018. 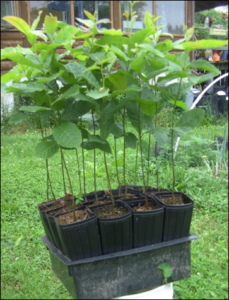 At that time we will know what our seed supply looks like for chestnuts, heartnuts, pecans, pawpaws, and persimmons. Also in November we count the trees we plan to make available for bare-root in April of 2019. 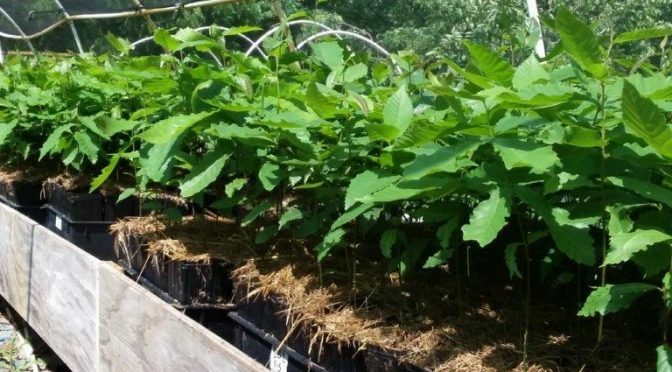 The only chestnut variety we will have available as bare-root trees in April 2019 will be Mossbarger.